If you love wearing your hair in ultra light shades like platinum or white blonde, bleaching is almost always an necessary part of the equation. But if you’ve pushed fragile hair to the limit with repeated lightening, you may cause damage that makes your hair weak and prone to breakage. Anyone looking to fix bleach damaged hair knows it can be a difficult journey, but there are lots of methods to help repair your fried mane. To help you get your over-processed hair back on the right track, we’ve compiled some great advice and best product reviews for bleached hair. How does bleach damage your hair and cause fried hair? We all know that bleach ban have disastrous effects, but have you ever wondered exactly how it leaves your hair feeling fried? Bleach opens cuticles and causes strands to swell. While this can leave your hair ready to accept a fun new shade, open cuticles can leave your hair feeling rough and looking fuzzy. On top of opening your cuticles, bleach increases porosity by breaking through the cortex of your strands and destroying melanin. Too much porosity makes it impossible for your hair to hold any moisture, leading to dried out strands that are difficult to manipulate. 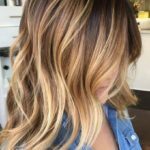 Bleach can lead to the cuticle layer of your hair completely breaking off, especially if you frequently heat style your lightened strands. The result is visibly split ends that can travel farther up the hair’s shaft if left untreated. Leave your hair alone for as long as possible. If you can, go a week without washing your hair and use minimal products and manipulation. Harsh shampoos with sulfate detergents will exacerbate damage, and it’s best to leave these until your hair is stronger. Avoid heat styling. Your hair may have been strong enough to withstand hot blowdrying and flat ironing before it became damaged, but once bleach has hurt your hair applying heat will only make it worse. When styling, avoid using dry or sticky products like texturizing sprays that can contribute to tangling and breakage. Instead, use products with a smooth consistency like balms and oils on your ends. Condition and moisturize. Because bleach damaged hair loses moisture easily, you’ll need to replace it frequently with conditioning and moisturizing products. While you’re laying off the shampoo, you can still condition your hair or use a cleansing conditioner to clean without drying. Leave-in conditioners, hair masks, and leave-in treatments can all help you put moisture back into your bleach damaged hair. Hair treatments. 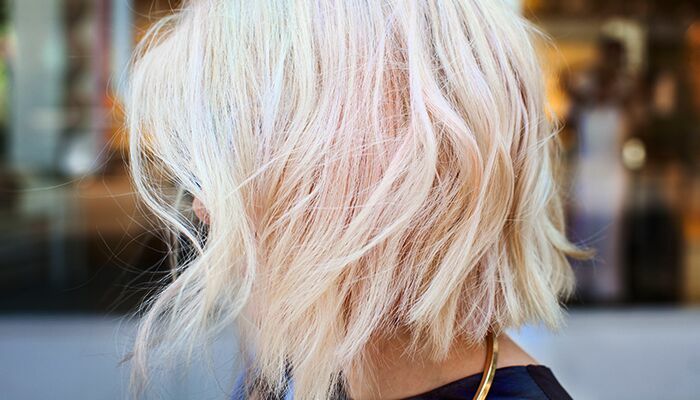 Salon treatments can help to fill in the open gaps left in your hair after it’s been bleached. There is such thing as too much of a good thing, and doing some treatments too frequently can also lead to damage. If you’re using a treatment that chemically affects you hair, check with a professional to see how often you should be applying. Looking for the best of the best to fix your bleach damaged hair? These are our favorite products to nourish over-processed strands. 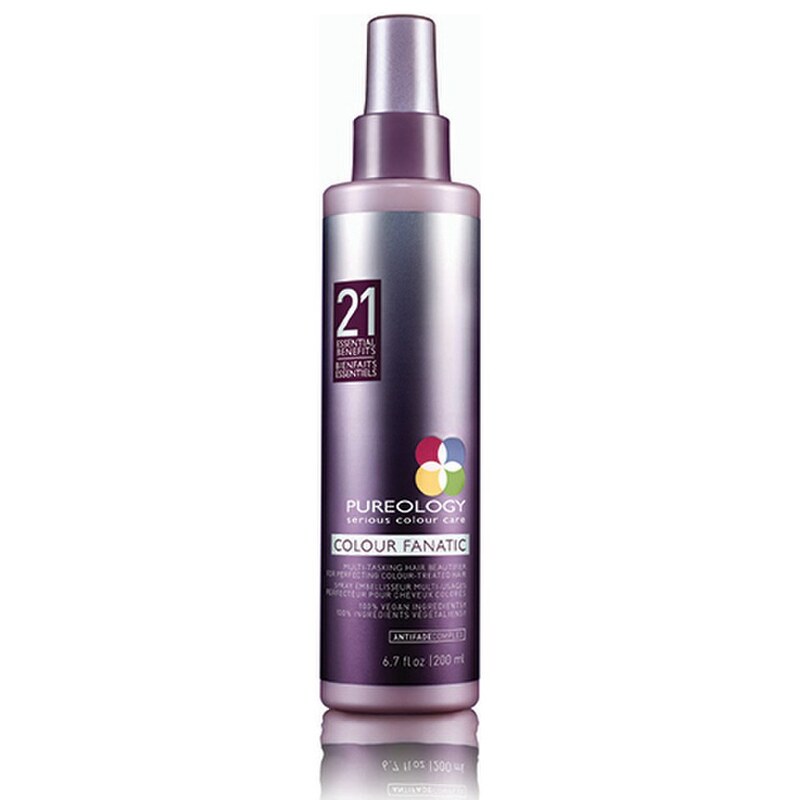 For bleach damaged hair that’s super dried out, Pureology’s Color Fanatic Hair Beautifier will deliver a powerful dose of moisture to your strung out strands. Hair Beautifier conditions, moisturizes, and temporarily fills in porosity to make fried hair more supple and easier to work with. You can use it as a leave-in conditioner, detangling lotion, or on dry hair to reduce static and frizz throughout the day. If you’ve got fine blonde hair that’s been left even less substantial by too many bleaches, you’ll appreciate how this lightweight product doesn’t weigh down your tresses. Like other Pureology products, Hair Beautifier is a bit pricey, but it just takes a few droplets of this elixir to create magic, and your bottle will last for a surprisingly long time. Our only real complaint is that the pump spray mechanism can be a bit cumbersome, and you may end up with sticky hands. Can use wet or dry. 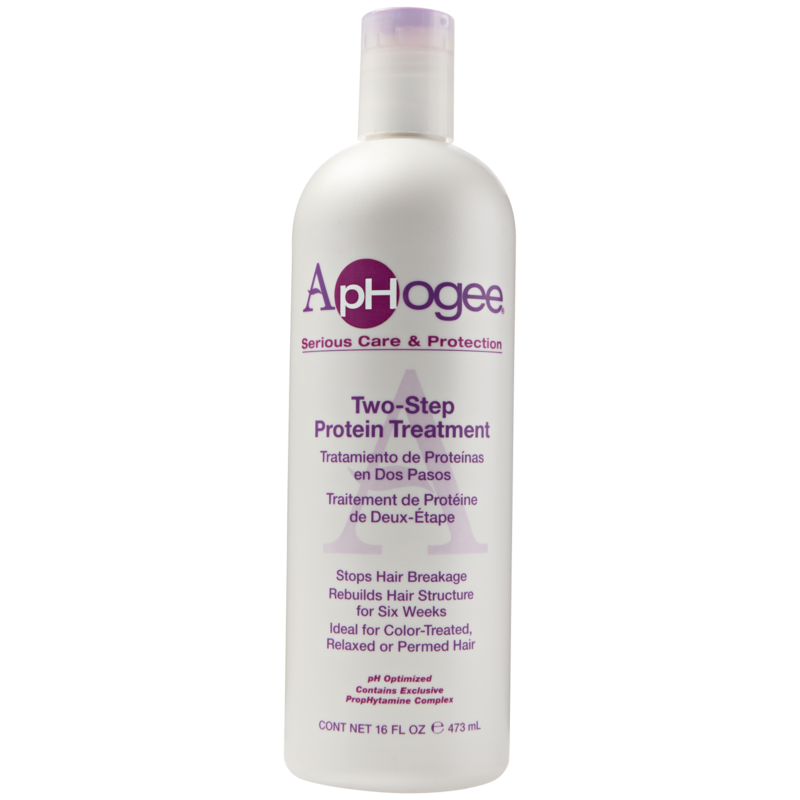 You can’t talk about protein treatments without mentioning ApHogee. 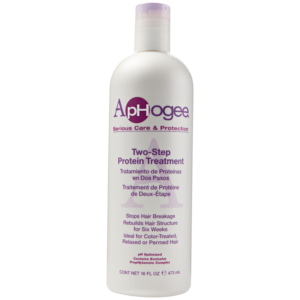 Their Two Step Keratin Treatment uses hydrolyzed proteins to help fill in the gaps left by bleach damage, producing incredible results for frazzled hair. Because there’s a chemical process that occurs when applying this keratin treatment, it’s shouldn’t be used more than every 4-6 weeks. Going beyond that can actually cause further damage. Apply this product to clean, damp hair, combing through for even distribution. Use a hood dryer or careful blow-drying to dry the product onto your hair, taking care not to move or manipulate your hair as it dries. When this treatment dries on your hair it should be rock hard. You can now rinse the product out and deep condition your hair. This keratin treatment can even be used directly after bleaching, but wait at least 24 hours after using a relaxer. The end result is hair with renewed strength and elasticity that makes a big difference as you grow out bleach friend hair. 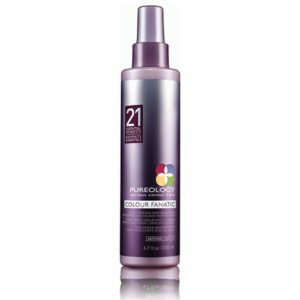 While we love this product for replenishing damaged hair, the application can be messy and difficult. If you have no experience applying hair treatments (or your at-home skills are what caused your bleach damage in the first place) we recommend heading to the salon for a comparable keratin treatment. Davines Nourishing Hair Building Pak is a dreamy conditioning mask for dried out hair that’s safe to use frequently. 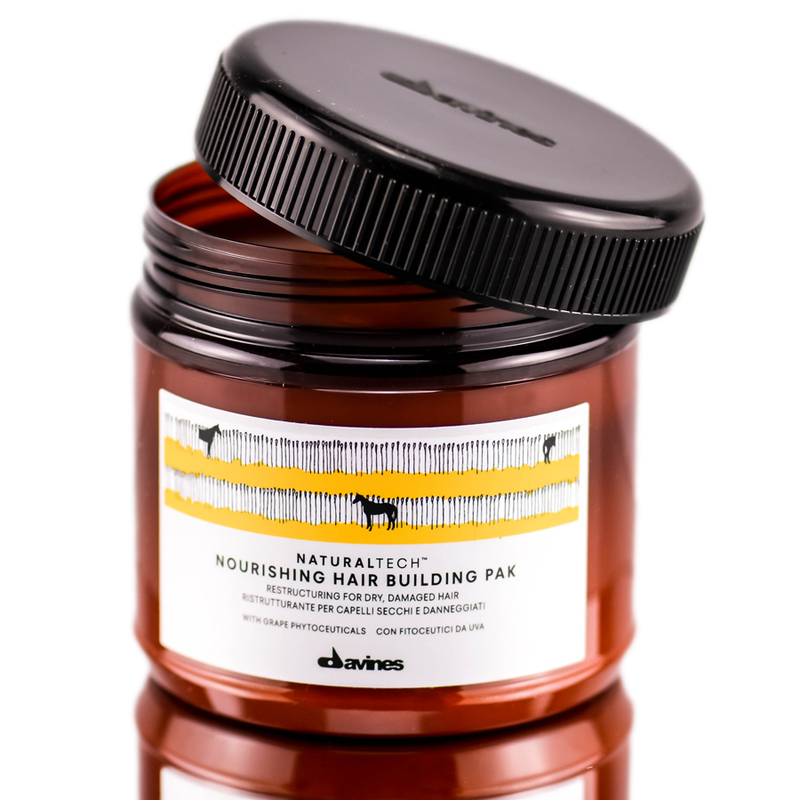 If you hate the idea of using more chemical treatments on your already over-processed hair, the gentle ingredients that Davines Naturaltech has built its name around will leave both you and your hair at ease. Apply this nourishing mask to clean, damp hair and leave on for at least 10 minutes. Then comb through, rinse, and style as normal. Because this mask is gentle enough to use multiple times a week, you’ll probably want to use it frequently on dry, bleach damaged hair. The only real downside here is that with a fairly high price tag, your Nourishing Pak habit could become an expensive one. 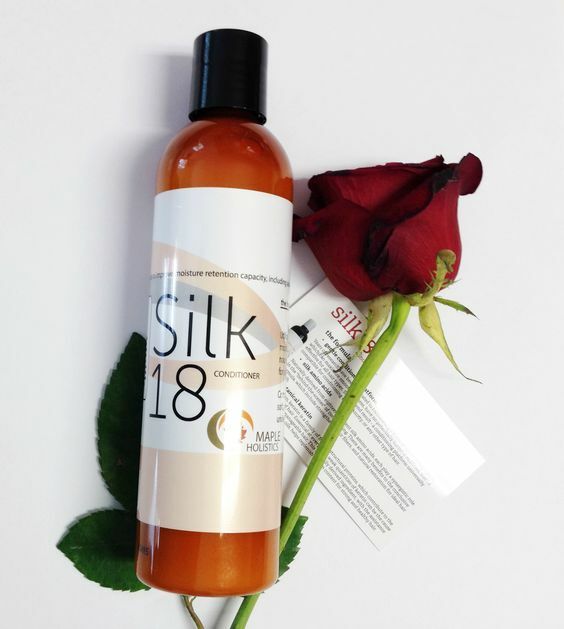 If you’re looking for a daily conditioner to help support your bleach damaged hair, Silk 18 Conditioner from Maple Holistics is a popular, well-loved option. It contains natural ingredients like amino acids and botanical keratins to strengthen your weakened strands, while oils like jojoba and argan oils replenish moisture and give your rough hair back some of its shine. This is a very thick conditioner, and the texture may be initially off-putting. We recommend working it through the length of your strands and leaving in for a few minutes to really absorb. Avoid applying directly on your roots, which can weigh down brittle or fine hair that’s been damaged by bleach. The price for this conditioner isn’t outrageous, but be aware that you’re purchasing a fairly small product size. Can weigh down fine hair. 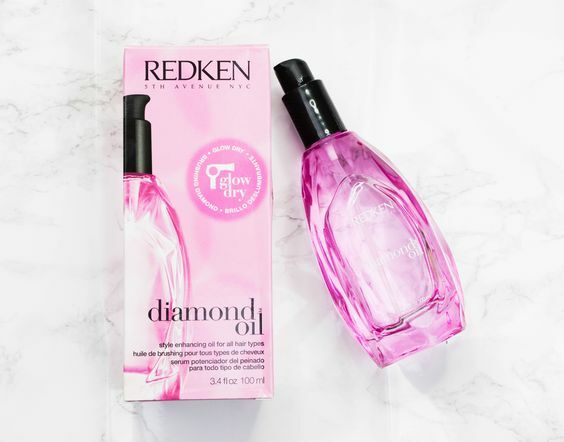 Redken Diamond Oil is a high shine product meant to be applied to hair prior to blow-drying. But this ultra concentrated oil can also be used on damp hair that’s left to air dry. Even without heat styling tools, you may find that your bleach damaged hair dries looking frizzy and rough. Diamond oil coats strands to provide shine and moisture, and its lightweight consistency won’t weigh down fine hair or leave your strands looking limp. You can also use a tiny touch to refresh your style and reduce frizz on non-wash days. Redken’s Diamond Oil is relatively high priced, but considering how little you need, expect a single bottle to last you for many months. Adds shine and reduces frizz. It’s a 10 Miracle Leave-In Plus Keratin is a lightweight sprayable product that you can add to damp hair after it’s been washed. The extra moisturizing power of a leave-in conditioner is one of the best products for bleach damaged hair. It leaves strands looking softer and also provides slip for detangling fried hair that’s more prone to knotting. Combing the tangles out of rough bleached hair becomes much easier with this product. If you’re laying off the blow-dryer, Miracle Leave-In will help to reduce static and frizz in hair that’s left to air dry. 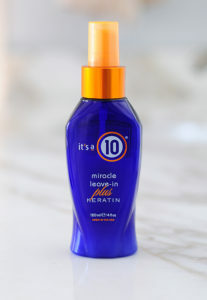 Finer strands won’t need too much of this spray, and overloading can leave your hair feeling greasy. Looking for some easy ways to repair fried hair that won’t take too much time or cut into your budget? These are our favorite at-home treatments for bleach damaged hair. These products are an easy way to give your hair some extra moisture, and can be used on a fairly regular basis. Unlike regular conditioner, leave-ins usually have a lighter texture that helps them to reduce frizz and dryness without weighing down your hair. We recommend a leave-in with a lotion consistency if your hair is on the thicker side, while ultra fine hair that’s been bleached may be better off with a liquid leave-in that you can spray on sparingly. Sulfate free shampoo. Without the harsh sulfate detergents that give traditional shampoos that squeaky-clean feeling, you can cleanse your scalp without causing as much stress to your fried hair. Cleansing conditioner. Washing your hair with conditioner may sound like madness, but it’s popular for a reason among women with natural hair. Don’t use a regular conditioner. They’re full of silicones that will weigh your hair down at the roots. Instead, purchase a cleansing conditioner (often called Co-wash) that’s meant to gently clean and condition at the same time. Apple cider vinegar. This all-natural rinse helps to de-frizz your dry strands while removing build-up and killing the dandruff-causing microorganisms that live on your scalp. Mix a 1:1 ratio of vinegar and water, then carefully apply to your scalp and hair, taking care to avoid your eyes (even diluted, it still burns). Leave on for 2 minutes then rinse and condition as normal. Putting away your heat styling tools is the simplest and cheapest way to begin the healing process. Chemical damage from bleach leaves your hair far more susceptible to heat damage, and will exacerbate issues like split ends and porosity. This is another easy way to give you hair some extra TLC at home. DIY masks are easily made with ingredients from your local grocery or health supply store. While they may not have the same lasting power as professional salon treatments, reducing frizz and providing temporary moisture means these DIY masks will make your bleach damaged hair easier to style. This easy, two-ingredient hair mask is big on moisture thanks to everyone’s current fave: coconut oil. Honey’s thick consistency makes this mask easy to spread and leave on for hours. If you’ve got a dry, itchy scalp that’s prone to dandruff, honey’s antibacterial properties will help soothe your skin. 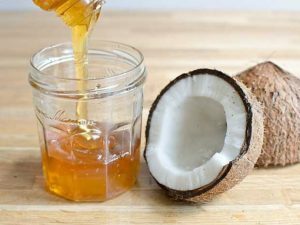 Mix equal parts coconut oil and honey. 1/4 cup of each is a good place to start, but you may need more or less depending on hair length. Apply to your hair, working through lengths and massaging into your scalp. Cover your hair and leave for at least an hour, then rinse and wash hair. 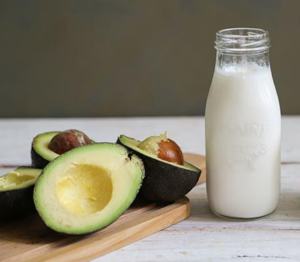 Proteins in milk can give your hair a natural boost of protein that’s more gentle and less expensive than a salon treatment. Avocado is another great moisturizing fruit and helps to reduce frizz for several days after application. Remove the pit from one ripe avocado (the softer the better) and mash the pulp with a fork into a smooth consistency. Add in 3 tablespoons of full fat milk or cream and mix together. Massage into hair and leave for 30 minutes. Rinse mask and shampoo and condition as normal. The fat and protein in egg yolk nourish bleach damaged hair. 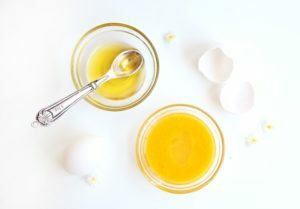 You can also use egg in more complicated hair masks to bind together other ingredients. Add olive oil as an emollient that helps to moisturize and soften split ends. Beat one egg and mix in one cup of olive oil. Massage mixture into scalp and cover with a shower cap. Leave on for 30 minutes, then rinse, shampoo and condition as usual. See a professional. If you’re intent on only having the bare minimum trimmed, it’s tempting to skip the salon and avoid facing a professional. But letting a stylist tackle your mane means you’re more likely to come out with an actual haircut instead of a haphazard trim job. 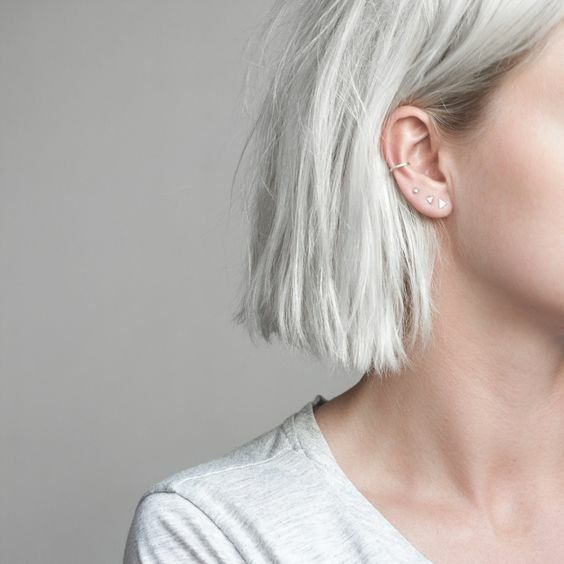 For inspiration, take a look at some of our favorite looks for short and medium hairstyles. A little now saves a lot later. If you’re eager to getting back to using heat styling tools on your hair, a cut can make it possible much sooner. Losing dead ends is like taking a step forward in the repair process, and allows you to be less strict with how you treat your bleached hair. Do something daring. Saying “hair grows back” is a pretty tired cliche. So instead, we’ll suggest you take the opportunity to dramatically switch up your look. 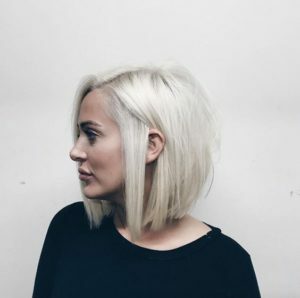 If the thought of trimming bleach fried hair is upsetting because long hair is part of your signature look, maybe it’s probably been your signature look for too long. Check out these bold and badass shaved hairstyles for women. This salon treatment is great for bleach damaged hair that’s paired up with a dry scalp. A variety of emollient and essential oils will be heated up and then massaged into the scalp and worked through the lengths of your hair. Moisturizing oils soothe dry skin and help to reduce flaking and dandruff. A hot oil treatment at your salon won’t actually repair split ends, but oil soaked into your cuticles can diminish their appearance. Hot oil can also help to reduce frizz and static that becomes more of a problem on bleached out hair, and lasts longer than products like leave-in conditioners. Hot oil treatments should be applied weekly to keep bleached hair moisturized, and thankfully they’re one of the most affordable salon treatments you’ll come across. This brand-name salon treatment is the celebrity-endorsed miracle that everyone’s talking about. More than a temporary conditioning or moisturizing product, Olaplex is formulated to rebuild disulphide bonds that are damaged during repeated or overzealous bleaching. This treatment comes in three stages, with the first two happening at the salon, and the third is used at home on a weekly basis. Not only will Olaplex repair hair that’s already been bleached, but its first step can be applied during salon bleaching to help prevent damage from happening in the first place. 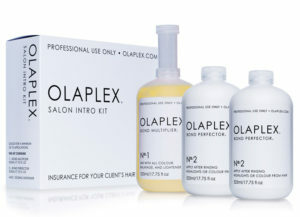 If you’re serious about actually repairing some of your split ends and frayed cuticles, investing in an Olaplex treatment is highly recommended. Protein treatments aim to replace the protein that’s been lost in chemically damaged hair. The most popular types include keratin, hydrolyzed, wheat, soy, silk, and collagen. If your strands are just naturally dry, a protein treatment probably isn’t for you. Some women do their own protein treatments at home, but if you’re aiming to repair bleach damage and you’ve never done a protein treatment before, heading in to the salon is your best bet. They can advise the specific type of protein that will work best, and how often you should have the treatment done. You’ll probably be waiting at least a month between treatments, but your stylist may suggest longer depending on on your hair type and the extent of damage. Be sure to take their advice: having these treatments too frequently will further damage your bleached hair. 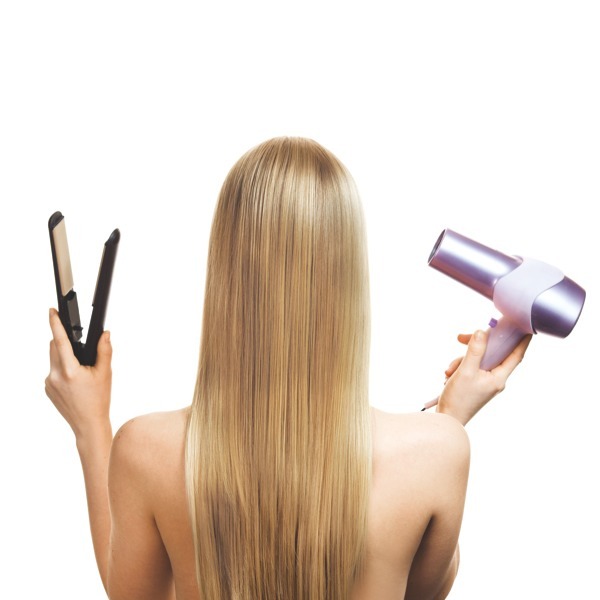 Keratin treatments like the Brazilian blowout are used to give frizzy hair a semi-permanent smoothing boost. After the keratin treatment is applied, hair is flat ironed straight using very high heat. If you’re working with hair that’s already been damaged by bleach, a keratin smoothing treatment with heat styling tools is a very bad idea. But not all keratin treatments have this second step meant to straighten and smooth. This is another type of protein treatment, and it’s a good way to repair your fried hair. Like any protein treatment, you can’t have this done too often, and it’s best to leave it to the professionals unless you have some experience.